There is an African proverb which says, “If you close your eyes to facts, you will learn through accidents.” There are several ways this saying may be interpreted. One possible interpretation is the learning of things that are important to your success will come either by you seeking it out or through the failures that will come due to lack of understanding. This is especially applicable when you are the creator whose product must be fashioned and constructed by someone else. 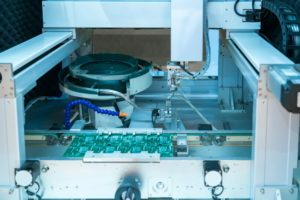 For example, a PCB designer that relies upon a contract manufacturer (CM) to build quality boards, yet is kept in the dark about the materials and methods used to do so. The PCB construction process that generates the physical manifestation of your software design is a well-structured set of fabrication and assembly steps that are impacted by your design decisions. And the product development benefits derived from your design for manufacturing (DFM) decisions are proportional to your knowledge and understanding of the PCB construction process. This relationship will become clearer after taking an inside look at how your boards are made. Although the PCB construction process is basically systematic in its execution, it is quite useful to be able to correlate the steps with specifications that comprise your DFM selections. However, in order to understand the overall process, it may be advisable to group steps into tasks based on purpose and importance. Let’s first look at board fabrication, building the structural foundation upon which your components will be attached, and then discuss PCB assembly. The objective of board fabrication is to convert the PCB layout defined by your design file(s) into a viable hardware product. This can be only be achieved if various aspects of your design, including material selection, spacing and clearance tolerances, drill holes and PCB stackup, fall within your CM’s capabilities. The major stages involved in building your board are described below. Imaging – This is where the PCB layout is created on the board layers. Typically, this is done by film or direct printing. For external surfaces, the exposure is positive, while internal layer exposure is negative. These images are exact replicas that depend upon the accuracy of the design file layout. Etching – This is the task of removing copper resist from the traces and pads that will be soldered during assembly for all layers that will carry signals. An ammonia-based cleaner is the most common solution for removal. Inaccuracy of trace lengths, widths and copper weights, along with spacing, in the design will most likely lead to problems during assembly. Layer Bonding – The bonding of the board layers is important as its quality ensures that the overall structure will hold together throughout the manufacturing process and when deployed in the board’s operational environment. Your choice of board materials and thicknesses, which impact the dielectric constant, dk, and coefficient of temperature expansion, CTE, are important design options that affect your board’s construction quality and durability. Drilling and Plating – Drill hole choices, such as via type and whether to tent them, their locations and type of plating are all design decisions. The actual drilling of holes may be by drill press or laser and come with restrictions on hole size, depth and location that need to influence your choices. Not doing so will most likely lead to design changes and additional time for your board’s fabrication. Surface Finishing – Here, this term encompasses the application of the solder mask to protect the board surfaces during PCB assembly, the printing of the silkscreen that includes the reference identifiers to assure components are placed properly and the addition of a surface coating to protect against the environment and handling. This coating is optional and should be selected based upon your board’s usage, client’s concerns, regulations and CM’s capabilities. The result of fabrication is a board structure complete with the footprints, reference indicators and connecting traces for assembling your components. During PCB assembly, your selected components are attached to the board by soldering. Although component attachment is the primary function, it is but one of the tasks, which can be grouped as listed below, performed during assembly to ensure your boards are ready for you to proceed to the next stage of development. Preparation – Before mounting your components, the bare board from fabrication is prepped by applying solder or solder paste. Component Placement – Components are placed on the board according to the location of footprints and pads, reference identifiers, pin 1 indicators and other markings. To assure that components are properly located during this automated procedure, the correlation between the PCB layout, including X-Y coordinates, and the BOM must not be ambiguous. Soldering – Soldering is the actual adhering of the components to the board and at a minimum requires a heating and cooling cycle. The actual soldering technique(s) used are dependent upon the type of component, surface mount device (SMD) or through-hole, and CM equipment and it may also be necessary to manually solder components, if tombstoning occurs, for example. Inspections – As PCB assembly is the final stage of board manufacturing, more attention is paid to quality assurance here. This includes a number of inspections to ensure component alignment with footprints, good solder joints or electrical connections, no unwanted debris or other abnormalities. Inspections may be done manually or using automated optical inspection (AOI). Depanelization – For obvious productivity reasons, PCBs are manufactured in bulk on standard sized panels. And this necessitates the separation of the panels into the individual boards or depanelization. 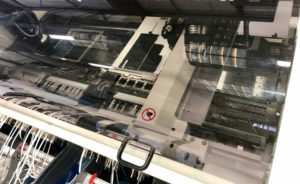 The panel layout for your boards’ manufacturing should be a part of your design process to minimize material waste and additional manufacturing costs. As we can see, the PCB construction process is no less nuanced with procedures, methods and techniques that can significantly impact the physical embodiment of your design rather than the design itself. 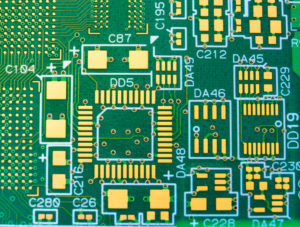 The optimization of both design and manufacture require the early establishment of the designer-manufacturer relationship that includes your CM’s understanding of your design intent and your knowledge and understanding of the PCB construction process. Tempo Automation is the industry leader in fast, precise quality PCB manufacture for prototyping and low volume production. We are committed to transforming the PCB designer-CM relationship into an open, transparent and symbiotic experience in order to achieve the best product results. If you are ready to have your design manufactured, try our quote tool to upload your CAD and BOM files. If you want more information on the PCB construction process or the impact of your design choices on the process, contact us.